Search for the best flight prices from Stansted to Rabat. Compare prices, book today and save money with Stansted Airport. 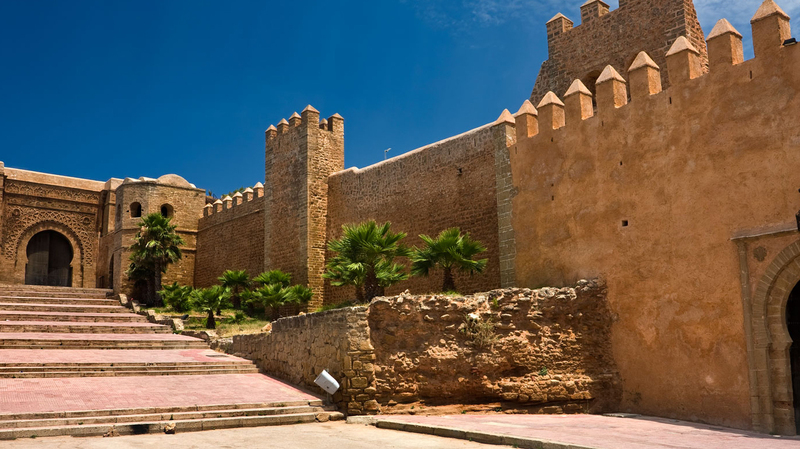 To taste the famous wonders of Morocco there are few destinations more inviting than the flourishing city of Rabat. Although perhaps less well-known than Casablanca, Rabat holds a lofty status as the political capital of Morocco and proves a firm favourite with visitors looking to explore both the cosmopolitan and the traditional side of this wonderfully authentic city. The Moroccan capital city has never been a tourist honeypot in the same way as places like Marrakech or Fes, but there’s much to enjoy in its colonial architecture and palm-lined avenues. Visitors looking for a special place to stay can consider the beautiful seven-room Riad Zyo (5 rue Moréno), set in a traditional building, or the equally alluring six-room Riad el Maâti (15 sidi el Maâti), which is in the heart of the medina, while chain hotels include the 229-room Sofitel Rabat Jardin des Roses (BP450 Souissi), which has a good location in the centre of the city. Shopping in Morocco is the stuff of legend, and while you won’t encounter the full-on sensory assault found elsewhere, the souks of Rabat have enough in the way of handicrafts, spices, jewellery, carpets and textiles to ensure you won’t struggle to find a souvenir – and with fewer tourists around, you’re likely to experience less of a hard sell. One area worthy of particular attention is Rue des Consuls, seen as the main shopping street and offering plenty of handicrafts and artworks from here and other parts of the country. The flavours and rituals of North African cuisine are often seen at their best in Morocco, and here in the capital city it’s possible to eat extremely well. For an authentic taste of the region, try Tajine Wa Tanjia (9 rue Baghdad) – the camel tanjia (stew cooked in an urn-shaped clay cooking pot) draws lots of attention, but there’s a large amount of other choice – or Samaky (Corner of Avenues Sidi Mohammed Benabdellah and Mohamed Zerktouni), which specialises in seafood as well as classic Moroccan dishes. Those in search of European cuisine can consider Il Giardino (2 bis avenue Ahmed Al Yazidi), a good Italian restaurant. A relatively new short film festival taking place over four days each April, Festival du Court Métrage is a celebration of short-form cinema that focuses its efforts on promoting the film industry in Morocco and encouraging the involvement of young creative locals. Juries award prizes for outstanding works. Taking place in the nearby suburb town of Salé, the Procession des Cierges (Wax Lantern Procession) is a picturesque procession also known as Mawkib Esh Shomouaa. The event is said to date back to the Barbary era, when pirates would parade through the town with lanterns, and today the evening event remains a spectacular sight for onlookers. This large-scale international music festival, running since 2001, has in the past drawn artists of the calibre of Stevie Wonder, Elton John and Kanye West, as well as large numbers of Arab singers and a huge diversity of other performers – it aims to offer ‘a musical journey to all four corners of the planet’. Running in some form since 1996 and now taking place in the spectacular grounds of the city’s Chellah necropolis, Jazz au Chellah takes place over five days and draws a mixture of local and international artists to the city. It showcases European jazz as well as Moroccan music. A national public holiday held to commemorate the proclamation of Morocco’s independence in 1956, each 18 November witnesses an array of colourful parades, street food and live music – as well as a formal reception at the royal palace. The country spent 44 years under colonial rule.